Q: Can I back up only changed files? A: A: Yes, we support incremental backup by default, i.e. only new and modified files will be uploaded after the initial backup. Q: What ports (TCP and UDP) does your software need? Q: What protocol are we using on the transmission? Q: How much memory CB backup process consumes on a client PC? Q: What is the compression ratio? Q: How does master password work? Q: Can I access my files using other Amazon S3 clients? Q: How to restore files/proceed with backup on another computer? Q: Why does the program not appear to start when I start the computer? Q: Can I protect my data with a password? A: Yes, we support the multiple industry standard encryption algorithms including AES 128-256 bit and it does encrypt/decrypt on the fly. You can set it up in the backup plan wizard. Q: Is there a way to decrypt Cloudberry backups independent of the Cloudberry interface? Q: Where can I learn more about data encryption, secure access and transferring options that CloudBerry Lab uses in its products? 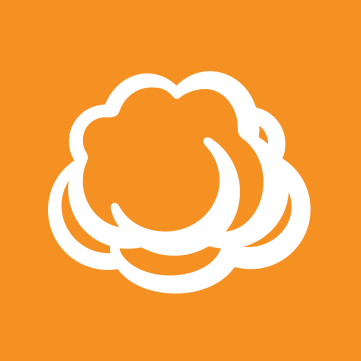 Q: Can I back up files being in use with CloudBerry Backup? Q: What does ”Force using VSS” option​ mean? A: ”Force VSS”​ option​ is designed to prevent locking files by CloudBerry​ backup client ​to allow other software simultaneous access to those files. Q: How can I setup upload bandwidth? Q: If I stop a backup plan, is the data that has already been uploaded, lost and when it is restarted, does the process start again from zero? Q: Do you support Mac and Linux? Q: How often should I run Full backup if I use Block-level backup? Q: Will backup start if the computer is sleeping? Q: Can I change CPU utilization? Q: Can I back up EBS volumes? Q: Can I backup and restore my system as an image? Q: What is a difference between Bare Metal Backup and Image Based Backup? Q: Can I recover a single file from image based backups? Q: Can I create a bootable USB drive? Q: Do you support backup for MS SQL? Q: Do you support backup for MS Exchange? Q: Can I back up MySQL? Q: Can I check the consistency of my backups? Q: Can I backup and restore NTFS permissions? Q: Can I restore my server as Amazon EBS Volume? A: Yes, you can. Here is how to restore your server as an Amazon EBS Volume (https://www.cloudberrylab.com/blog/how-to-restore-your-server-as-amazon-ebs-volume/). Q: Can I clear the Archive Bit attribute for the files during the backup process? Q: Can I back up network shares? Q: Can I perform Image Based Backup to FTP/SFTP server? Q: Can I restore my system to Hyper-V or VMware virtual machines (p2v)? Q: Can I delete files after the successful backup?